Thought as we head towards a new season, I would put a bit of explanation to you on the tides. I did this in detail on my Day Skipper course ... I’ll condense many pages and several Hrs into a 2 minute read. It’s all about the lunar cycle. Swansea bay is part of Bristol Channel, which has one of the largest tidal ranges in the world. 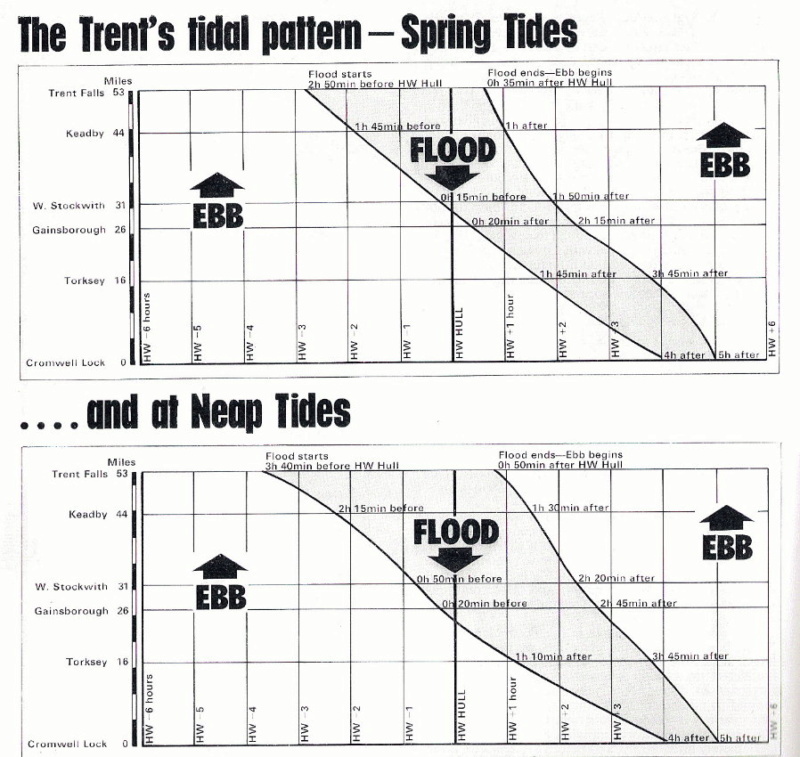 Each month we get 2 types of tides Spring & Neap. Springs which are the high tides happen 1.5 days after a new and full moon, approx once a fortnight. Neaps (Low tides) occur halfway between each Spring tide. The Spring tides give the lowest water, as tide goes out further. Neaps the opposite highest low, and lowest high ... i.e. doesn’t go out very far. The tidal range for normal Spring is around 8m and 4m for Neaps. Spring is nothing to do with the season. When Sun & Moon are in same side of the earth we get Spring tides. The time between each tide is 6hr 13min ...Therefore 12hr 25min between successive high tides. It is totally predictable, both for rate of rise or fall and water flow speed. You can see slack water occurs at high water & low water. Worth noting that the biggest mass of water is midway between high & low tide. So if you lose power you will drift for 12 miles before tide turns. The above is the normal Lunar cyclic tides, known as semi-diurnal. If you remember physics, it’s a sinusoidal pattern, repeating every 6 Hrs. Some places such as Oxwich point & Mumbles head for example also have tidal races where there is a significant increase in water flow due to coast geography. An incoming tide coupled with a following wind would increase tide flow & height. At the low tide preceeding these you can walk out to exposed wrecks on many Gower bays. Every 18 months when moon is closer to earth we get exceptionally high springs .. known as Proxigean Spring Tide. Every 31 yrs there are Extreme Proxigean tides ... the one in 1995 coincided with a following wind and caused extensive flooding ... 2026 is the next big one. I have a great photo,of my Father as a Policeman rowing a boat along the Mumbles road .. to rescue stranded people ... that was during a Proxigean tide. Interesting subject especially on an estuary where the tide times vary depending on location along the estuary. This must be the case on the Bristol Channel and especially so the further up you go. On the Humber and the R.Trent I work out the times to travel to suit the tides and most of my pals (foolishly) just follow me ! On the Trent the tide come in fast and goes out slow . As you say difficult to condense so much into an easy read. I’m not sure if you know this but, the Day Skipper course questions are very similar to the Yachmaster course. The only differences seem to be the accuracy of the answers and some of the more intense navigation questions. Why they don’t consolidate it into Yachmaster I don’t know. Is this because of 2 reasons Martyn? On the Flood is it because the massive amount of water being forced into the river by the Humber and the shape of the river itself being wider at the mouth and narrowing upstream, similar to a Venturi effect like squeezing a hose to increase water flow? On the Ebb, it must be the reverse of the Venturi effect in addition the sediment bars in the lower part of the river which would slow the flow as well and with the River Ouse ebbing at the same time, both ebbing into the narrower stretch before it gets into the wider larger Humber estuary would slow the flow too, wouldn't it? The ever increasing pressure from the tide squeezing the water upstream as the estuary/river narrows . While the ebb only has gravity to assist it. Absolutely, that is some massive piece of water out there in the North Sea all wanting to push inland and as you say only gravity on the ebb. And then on the South Coast and some of France there are double high tides, called Young Flood Stands. Typically the rule of twelfths works for neap tides here but because of the land and sea bed topography when we have Spring tides with a lot of water movement the high tides hang and the rule doesn't work. Spring high tides ebb only a little maybe less than half a metre after the first high tide then they flood again for a short time, then ebb like billyo for 3 hrs to low tide.